We completed a brand new WordPress website for Rhode Island-based Hopkins Hill Nursery, sister organization of K Wilcox Landscaping, whose website we had earlier revamped. We created a visually appealing site that spotlights the company’s services and products. We also connected the site to their Facebook page and set up a Mailchimp email sign up form to permit Hopkins Hill to reach out to prospective customers with information and deals. We are grateful that K Wilcox and Hopkins Hill opted to host with GoatCloud. We provide them with our Managed WordPress service, ensuring the sites are backed up, its software is kept up to date and performance and security is monitored. 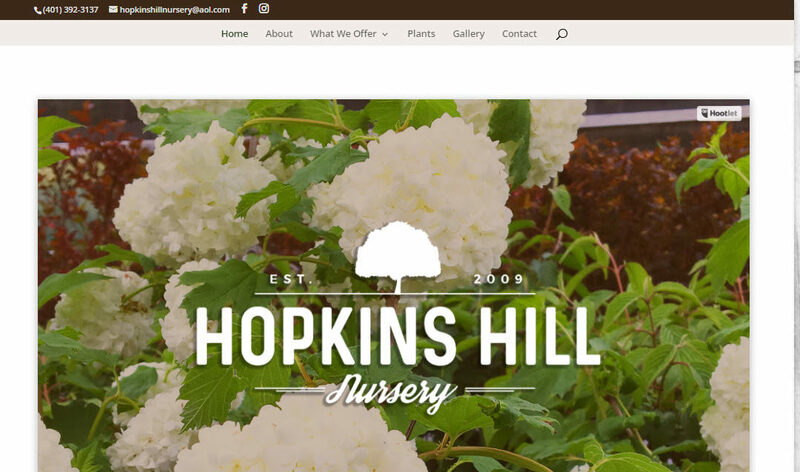 Check out the Hopkins Hill Nursery website.